ZD Marathon Day 4 Update! Today, we find ourselves on the fourth day of our ZD Marathon, and so much has happened, it is hard to believe that it is almost over. The team has been able to raise over $2,800 so far but they still need your help! The Marathon will be going strong until tomorrow and there are still some pretty fantastic Zelda titles to be played. On the schedule for today we have Spirit Tracks already under way and then later today we will see one of my favorites, Twilight Princess. If you haven’t had time to tune in, check out the live stream and full schedule, we still have quite a few games left to play! 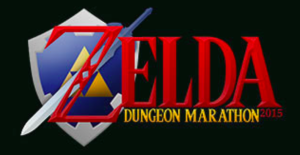 The team will be going strong all day today and tomorrow, and we still have six more titles to go, including the game that started it all, The Legend of Zelda. Take some time, tune in, and watch the fun!